In May of 2011 traveling abroad with students in England I was smitten. At the National Gallery in London I saw in the flesh Veronese’s Four Allegories of Love. Painted around 1575, the awkward angles, staged narratives, and stilted compositions had me at “Hello.” I picked up postcards of all four paintings and put them on my studio wall in order to stay in dialogue with them. 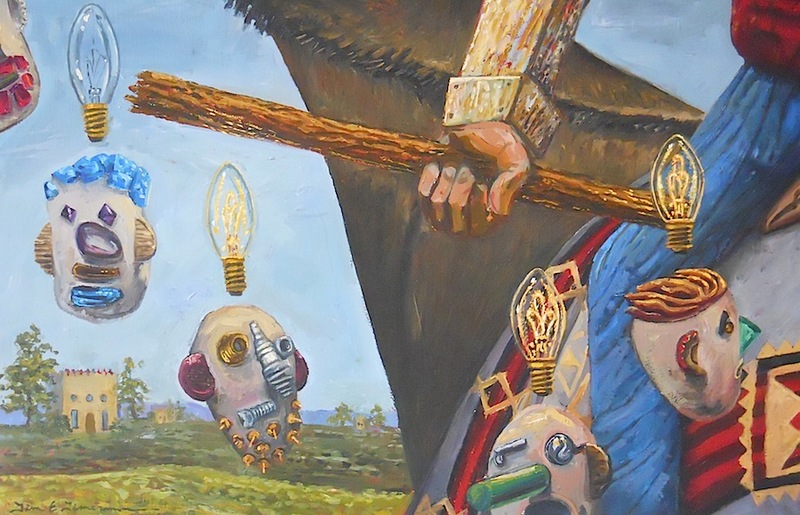 Meanwhile in the back of my head I was thinking I wanted to move from painting singular figures of which I had been painting for the past two years or so, back to narratives. I also desired to work big again. 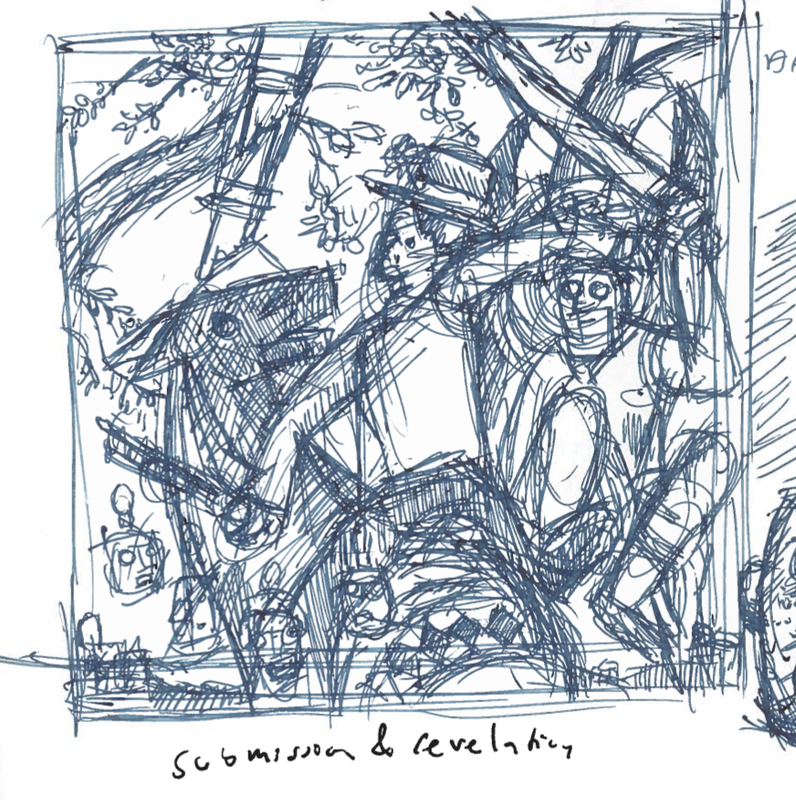 In terms of content I have been struck over the past years by what I can only call “messy” Old Testament stories, and so I decided to try my hand at mimicking elements of Veronese’s compositions with characters such as Balaam, Jonah, and Job. Submission & Revelation (Balaam) is the largest painting I’ve created since 2001, and is simply the first painting of four, each based on a Veronese composition from The Four Allegories of Love. 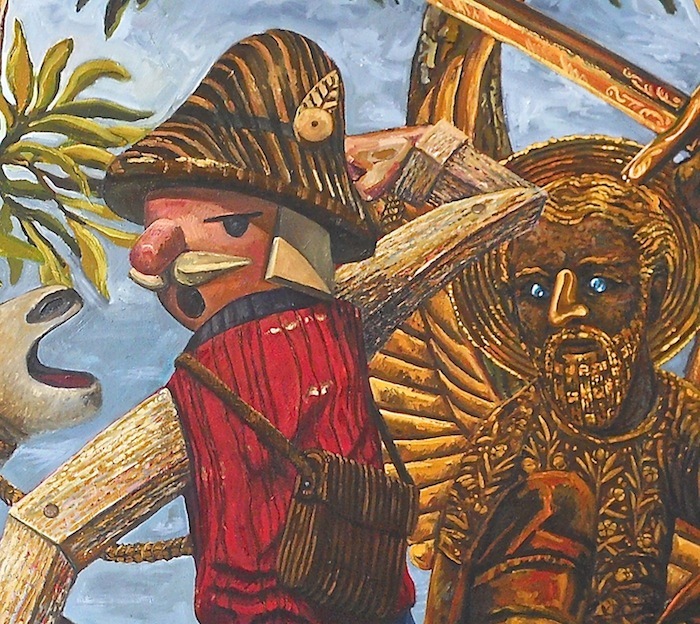 Detail of the Angel Figure and Balaam. Originally Balaam had a very different head that was then transformed into the head of a German incense smoker. 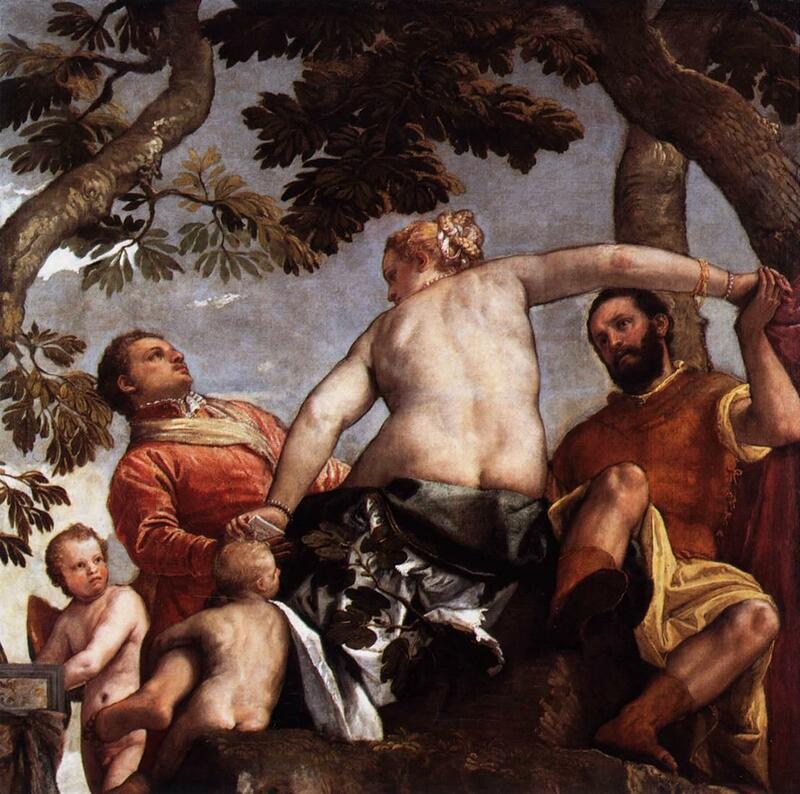 In Veronese’s painting there are two putti in the lower corner observing the scene, in mine there four characters discussing the events two of which have the gaze of the original two putti. 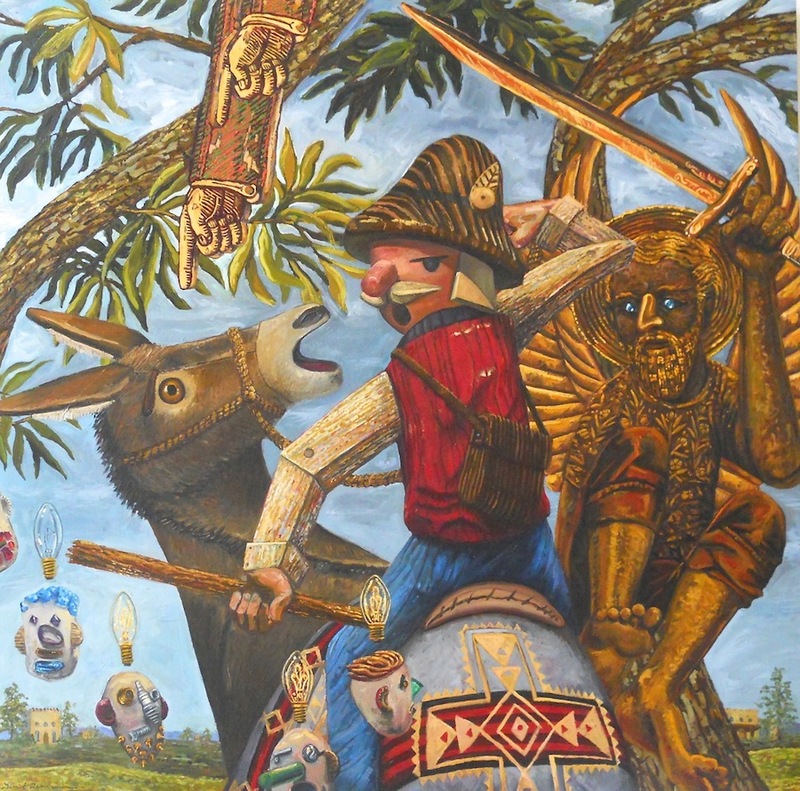 Submission & Revelation; Balaam, oil on wooden panel, 4’x4′ May 2014; Here is the painting in full. This entry was posted in Art in the Works and tagged Balaam, Balaam artwork, Balaam painting, contemporary version of a classic painting, Veronese, Veronese Allegories of Love, veronese the four loves, veronese the four loves infedelity, veronese unfaithfulness. Bookmark the permalink. Wonderful Tim! This is stunning. So interesting to see your process.